A May measure to pay for a new police station would very likely fail, according to a polling firm. Forest Grove city officials interested in getting voter approval this spring to pay for a new police station received some bad news at a work session Monday, Jan. 14. According to a presentation by consultant Martha DeLong, results from a public opinion survey and focus groups conducted late last year show that the city lacks support to pass a capital bond measure for the facility right now. Without much time to educate and persuade voters before the May election, she said, she sees the proposed measure's prospects as poor. The actual survey results show a roughly even split between respondents who support, oppose and are unsure how they would vote on the measure if it were on the ballot this May. Some 43 percent of respondents said they would support the bond, but DeLong said that further questioning revealed that much of the support is soft, with just over a quarter of respondents saying they were "very confident" that's how they would vote. The results also suggest that most of the "fence-sitters" won't end up supporting the bond this May, DeLong said. In all, DeLong told the council, modeling suggests that if a measure were put to a vote now, it would fail by nearly a two-to-one margin. "It's a difficult hill to climb with these kinds of numbers, in our experience," said DeLong, who is director of market research for Portland-based Campbell DeLong Resources Inc. "We've never seen anything that had these kinds of numbers that then turned around and passed … when they did it immediately." 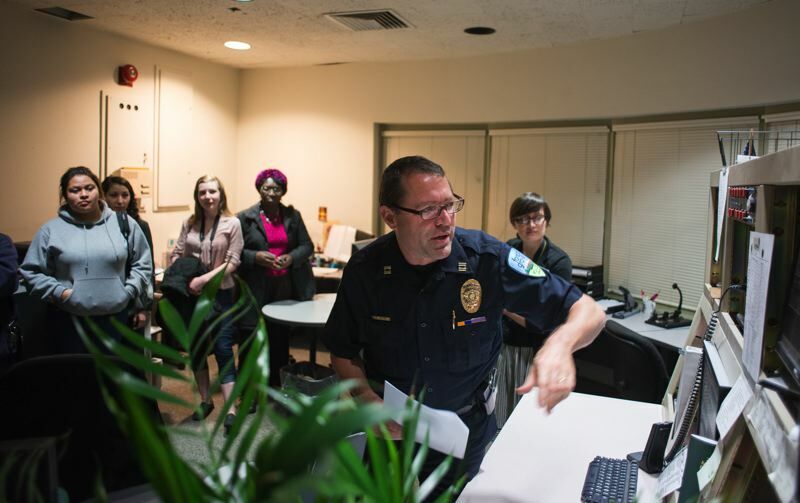 While disappointing for city councilors, police officers and others who want to see a new police facility built in downtown Forest Grove, the results aren't entirely unexpected. 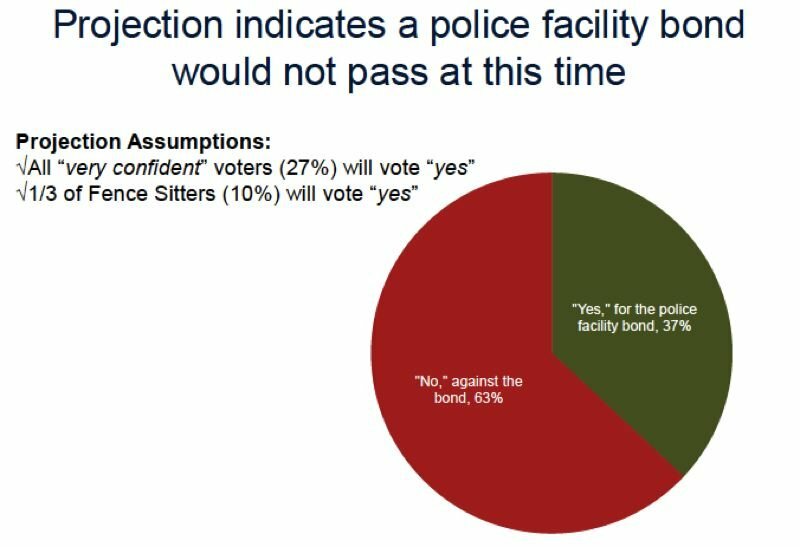 At another work session last February, DeLong warned that winning voter approval for police facility bonds is often a slog. Responses to the survey and focus groups bore out DeLong's cautions. 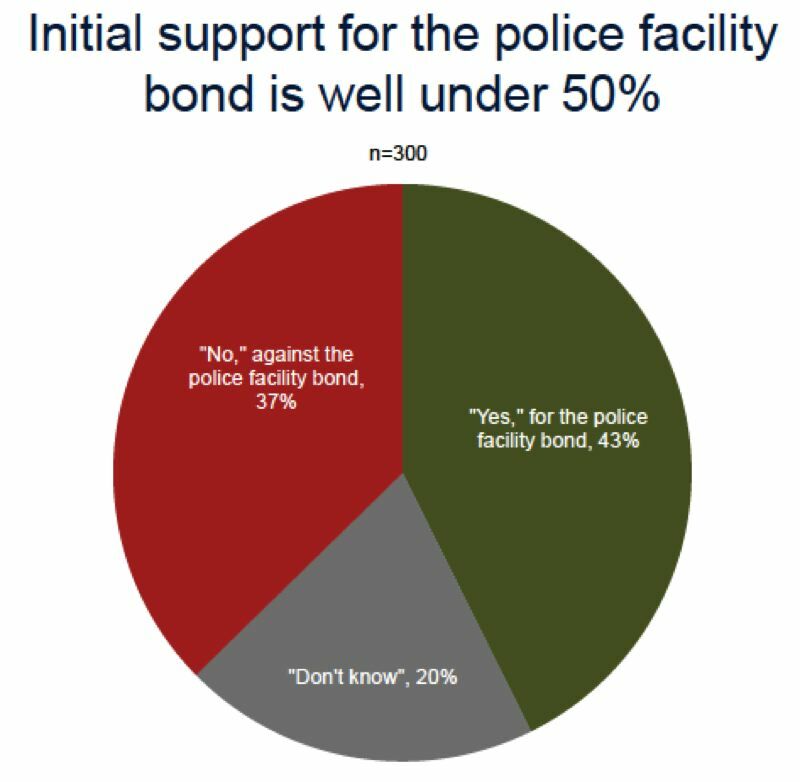 Many undecided and opposed respondents indicated they do not believe a new police station is needed and are not convinced of its importance. "They simply don't understand what happens in a police station," DeLong said. The Forest Grove City Council heard a presentation from an architectural firm in October outlining a proposed two-story police station, with about twice the square footage of the existing station — which dates back to 1977 — at the corner of Pacific Avenue and Ash Street. The facility would be built at the opposite corner of that city block, at 19th Avenue and Birch Street, which is currently occupied by two vacant, city-owned buildings. In addition to its age, the police station at Pacific and Ash is "deficient" in a number of ways, city officials have said. The most immediate issue is that it is too small for the department's needs, and its space to process, interview and hold suspects is insufficient. Also of concern, the station was not built to current seismic codes, and a major earthquake could render the building unusable — badly hampering the police department's ability to function in the wake of what would almost certainly be the worst disaster in state history. That being said, the station is not intended to be a primary holding facility. Suspects are typically transported six miles east to the Washington County Jail in Hillsboro for booking. Hillsboro also hosts training facilities that are used by law enforcement agencies throughout the region. The need for other station functions, such as storing evidence and records, providing desk space for officers, and serving members of the public, are less easily communicated to taxpayers who might naturally balk at being asked to pay more. "They don't even know you have a problem, in reality," DeLong said. Beaverton faced a similar struggle in winning voter approval for a bond to build a new public safety building earlier this decade. City voters rejected a bond measure in 2014. A similar measure passed narrowly in 2016, when it shared a ballot with the presidential election, helping to drive turnout among low-frequency voters. Offering a silver lining to an otherwise negative outlook, DeLong said supporters of a bond campaign in Forest Grove may find it easier to change minds than their counterparts in Beaverton did. "I think you have one advantage over Beaverton in that you are a smaller, closer-knit community," DeLong said. "We've seen that smaller communities … have an advantage as far as being able to get the message out to people." One strategy DeLong cautioned against is taking the electorate's temperature with a bond measure at a certain rate — the survey specifically asked about a property tax increase of 77 cents per $1,000 of assessed value to pay for the police station — and then responding to a rejection by coming back with a lesser ask for a cheaper facility. "It's not a good thing, in our experience, to train voters that they need to vote 'no' so that you lower the price or that you really decide that you're serious," DeLong said. "Once you start making cuts, it never stops," Mayor Pete Truax agreed. DeLong said any successful bond campaign is likely to take time and widespread participation, including from off-duty police officers. (Oregon law prohibits public employees from campaigning for or against a ballot measure while they are on the job.) It would also require the "yes" campaign to craft a message that can win over not just the "fence sitters," but also some committed opponents. "It's not impossible, but it's a huge effort," DeLong said. "And it will require everybody in this room." The City Council is expected to hold another work session on Monday, Jan. 28, to discuss next steps. If the council decides to go forward with a vote in May, it would likely need to approve language for the ballot sometime next month. While the polling presents a bleak outlook for the proposed bond, Truax noted that pushing the measure to a later date could place it in conflict with upcoming money measures. The regional government Metro will likely ask voters to approve parks and transportation bond measures within the next two years, and Washington County's public library levy is set to expire in 2021. Political strategists generally advise against asking voters to approve new taxes when another tax increase is also set to appear on the ballot, as voters may be inclined to decide between one or the other or vote against both. The survey to which DeLong referred throughout Monday's meeting was conducted by Campbell DeLong Resources from Nov. 27 to Dec. 11. The sample size was 300 likely voters, and the survey has a margin of error of 5.6 percent.